Cardamom Tea – Get Digestive Relief Now! Had too much to eat? Feeling stuffed like you are about to burst? Try Cardamom tea, a sweet tasting tea that may be the solution to your digestion problems. 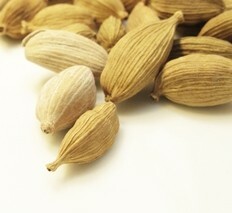 And while you are at it, can you guess what famous tea drink uses cardamom as its main ingredient? Read on and learn the answer to these questions and many more! Green cardamom (from the Latin elettaria cardamomum) also known as common cardamom or true cardamom; it has a strong taste and an intense aroma. 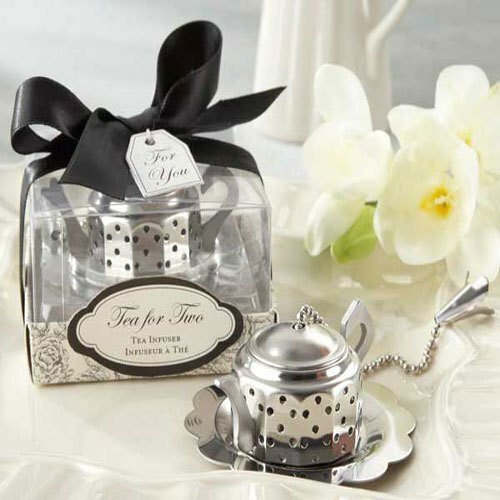 Though it is quite expensive by weight, very little is needed to flavor your tea. Black cardamom (from the Latin amomum cardamom) also known as kravan, java cardamom, Bengal cardamom or Siamese cardamom; it has a smoky flavor and an aroma that is mint-like cool. Native to Southeast Asia, this perennial plant belongs to the ginger family Zingiberaceae. It has thick rhizomes and big pointed leaves. When it blooms, this herb gives us white flowers with pinkish-violet striped lip. It is in the capsules, either pale green or beige that you will find the seeds, normally about 15 to 20 per capsule. The seeds are harvested in October, handpicked, crushed to make tea and it is in the seeds that the medicinal powers reside. This herb has a long history in Ayurvedic medicine and is still cultivated today for its seeds were its medicinal powers lie. Interestingly enough, can you guess what country today is the biggest producer of cardamom? It’s Guatemala, followed by India. However, it is not only for the health benefits of cardamom that this is so loved. It is also used as a seasoning splice, integrated in many dishes and beverages: baked goods, coffee, curries, pickles, deserts, rice dishes. It is in fact one of the basic ingredients in Middle Eastern, Indian and Scandinavian cuisines, flavoring bread or sweet dishes and adding its warming qualities wherever it is used. Find out what benefits this herbal tea holds for you. Cardamom is rich in oils that provide you numerous benefits. It contains such oils as borneol, camphor, eucalyptol, limonene, and terpinene and they work together to help you in many ways. This is the main benefit that cardamom tea has to offer you. A cup of this tea can help to prevent acid indigestion that leads to stomach pain and flatulence. It reduces the uncomfortable feelings of heartburn and stomach cramps, boosting your ability to deal with the acidity. For ages, this tea has been used to aid digestion, relieving nausea and vomiting. Today it is also used to treat irritable bowel syndrome, constipation and loss of appetite. It is a great herbal remedy for dealing with intestinal worms, once your doctor approves the use of this tea to clear them out of your system. Did you know that bad breath may be the result of stomach issues? This tea helps you treat these ailments and thus alleviate the symptoms of halitosis both in your mouth (infections in teeth and gums) and stomach. So have a cup of tea after your meals and wash away harmful bacteria. Cardamom tea is the tea to drink when you need to fight the common cold symptoms. By releasing camphor oil, this tea will help relieve congestion, in fact it is considered quite effective in ridding of phlegm when fighting pulmonary disease such as bronchitis. As an expectorant, this herbal tea wages war on catarrh at the same time as it helps cure you of cough, sore mouth and throat, reducing the risk of infection. If you need an herbal tea to detoxify the body, then cardamom is a very good option. It helps to clear both kidneys and liver. It is a great tonic that brings balance and energy to the body. This cleansing action that rids your body of wastes is also helpful for the circulatory system, thus improving your blood flow. 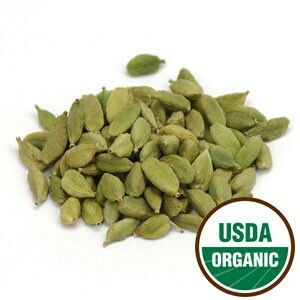 Cardamom tea is a powerful stimulant, great for strengthening your body and mind. This is why it is recommended when you suffer from general weakness, fatigue and insomnia as well, as it helps to clear the mind. This tea is considered a longevity tonic that helps to improve male stamina. Did you know that due to its intense and spicy flavor cardamom tea has long been considered an aphrodisiac? Women may also benefit from drinking this herbal tonic, as it offers relief from pain associated with menstruation and premenstrual symptoms. It may prevent colon cancer, but more research is needed to ascertain this assumption. An herbal blend of cardamom and cloves has been used to treat cholera in the past and in South Asia it was even reported to be used as an antidote for snake bites and scorpion venom, but there is no scientific validation behind these claims. Cardamom tea helps to treat urinary tract infections and help control sugar level in diabetic people. However, do not do this without the supervision of your doctor, so that any medication you may be taking can be properly adjusted for you. Would you like a cup of this delicious tea now? Considered generally safe both as a medicinal aid and as a spice for your food, there are no serious side effects when taking cardamom tea. If you suffer from gallbladder stones, it may be best to avoid this tea. It may cause abdominal pain, bleeding and infection. Further studies still need to be done to support this, but best be on the safe side, isn’t it? Intake of cardamom tea may also interact with blood-thinning drugs, increasing the risk of bleeding and interfere with some liver medications and antidepressants. So check with your doctor. He may want to monitor your health more closely when you take this tea. Watch out for symptoms of common allergic reaction (this applies to any food, not just cardamom tea): shortness of breath; chest pain; hives; and swelling of the skin. In regular food amounts, cardamom should be safe for both mothers and babies, but medicinal amounts may be too much for your body during these stages. 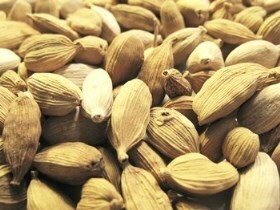 As effects are still unknown, it is best to exercise precaution when drinking cardamom tea to relieve nausea. Make sure that your doctor knows and approves of this herbal remedy in your particular case. 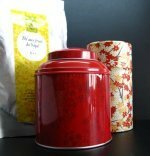 Ready to experience a cup of deliciously spicy tea? Then learn how to make cardamom tea here so that you can have it whenever you want. 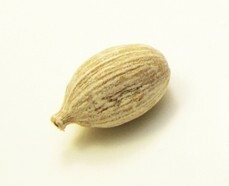 Prepare 3 cardamom pods by opening them up and crushing the seeds inside. This will release the medicinal scented oils locked inside them. 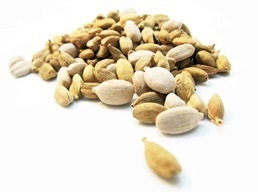 Have you noticed how great the cardamom smells once you start crushing the little seeds? It’s just so fragrant. Begin by boiling 1.5 liters of water (about 6 cups of water). Remove water from the heat and add to it 3 tsp. of black tea leaves; the crushed cardamom seeds and 250ml (1cup) of milk. Note: Cardamom tea is usually made using black tea leaves, as it blends better with the milk and spices. Reheat this blend until it boils and once it has reached the boiling point, remove from the heat immediately. Let rest for 5 minutes and then strain. Drink and enjoy a tea that is both spicy and sweet, both citrusy and floral. 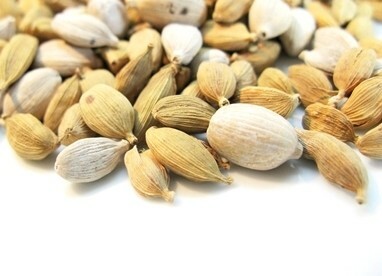 It is no wonder that cardamom is called the “Grains of Paradise”. The great thing about this herb is that it can be blended with so many others adding its warm and pungent vanilla-like notes to any herbal brew. Consider, for example, blending cardamom with cinnamon, clove, nutmeg, anise or fennel. What about licorice, vanilla and black peppers? Here’s a tip: never crush or just open more cardamom pods than the ones you are going to use immediately, because if exposed the seeds tend to quickly lose their flavor. And the whole point of this tea is to provide you with comfort in a tasty way. And did you know that you are just a few spices away from making Chai Tea? 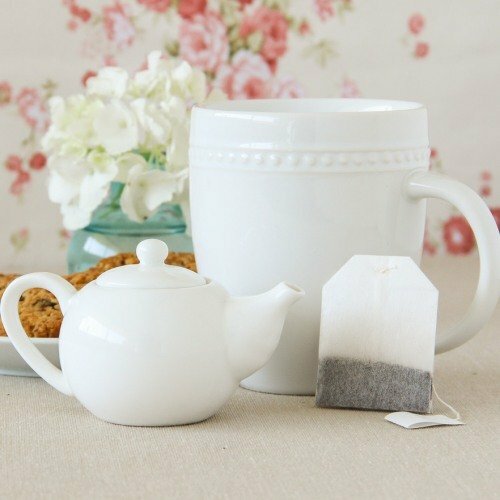 Go to our Chai Tea Recipe and find out how easy it can be to make chai in the comfort of your own home. Buy Your Cardamom Tea Today! Click on the image or on the links below to purchase from Starwest Botanicals your Organic Cardamom. 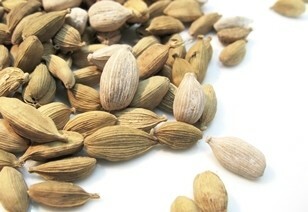 Organic green cardamom seeds are the best source for your digestive aid tea. Now you too can enjoy a delicious cup of this spicy tea in the comfort of your home. Taste the perfect blend of spices such as cardamom, ginger, cinnamon and cloves, working together to bring out the best of a great assam tea. Perfect with milk and sugar. Try this digestive tea today!